JKUAT Vice Chancellor Prof. Mabel Imbuga pledged her support to the Global Breadfruit project. She said JKUAT was privileged to be the entry point for the plant in the East and Central Africa region from where other countries could acquire tissue culture clones from. Breadfruit can be a solution to hunger in some parts of the East African region and the entire African continent facing irregular supply of food. Farmers intending to grow mushrooms for sale can use farm waste from their farms to grow the sweet food produce. Mushroom is not a rain fed crop, and requires little space for growing. Mushroom are fungi and can be classified into three basic ecological groups, Mycorrlizal, parasitic and Saprophytic. The crop is steadily gathering pace as one of the preferred sources of investment in agribusiness with a promise of quick returns. According to Patrick Muchiri, a Biotechnologist at the Jomo Kenyatta University of Science and Technology (JKUAT) farmers grow various crops in most parts of the country but do not know how to utilize the waste after harvesting. The waste obtained from maize, sugarcane thrash, sawdust & banana leaves among other crops is ideal for mushroom growing therefore reducing environmental waste. “Because it is a fungus, mushroom is not grown on soil like the green plants; it’s grown on broken substrate whereby the crop obtains its nourishment” says Patrick. In Kenya currently these types are grown -Agaricus Bisphorus (Buttons) Pleorotus (Oyster),Lentininus (Shiitake )and Ganoderma. Enoki and shimeji are also grown on a small scale, but becoming popular due to increase of populations from Asian continent. Mushrooms can be grown in unused buildings among them Go-downs, Garages, chicken houses, unused factories, etc. Mud thatched houses create good climate. Brick and stone can also be used. Custom built structures with air conditioning can be constructed, but are expensive and are beyond the ability of many farmers. The agricultural waste, which is easily available on farms, is soaked for three days and then heaped for fermentation for 4-6 days in a closed container. The substrate should be composed by 65% - 75% of moisture, and for the remaining part by agricultural waste. It can be used for three harvests, and then it can be recycled as organic mulch or fertilizer. Alternatively, cotton seed waste can be used as substrate for oyster mushroom production. Polyethylene plastic bags are filled with the substrate (about 5kg per bag), which is then inoculated with the mushroom spawns (spawns are ‘mixed’ with the substrate). Each garden of about 5 kg of substrate is filled with about 250 grams of spawns. At that time, plastic bags are closed manually. Following the inoculation process, the mushroom bags are hanged in locally built (brick or mud walls and thatched roof), darkened mushroom houses for incubation. Ideal humidity of the incubation room is 70% - 75%. Each room can host up to 300 gardens. The mushrooms start sprouting after 28-35 days from inoculation. Each mushroom garden (i.e. plastic bag containing about 5 kg of substrate) yields a minimum of two kilograms of fresh oyster mushrooms. Mushrooms are sold in supermarkets, hotels and green grocers in their fresh form. They can be preserved by drying, which extends the shelf life to two years. Mushrooms are quite versatile and go well with a majority of dishes. They have a delicate velvety texture and can be eaten raw in salads, highly sautéed or cooked well to release a trace of sea food flavor. They generally take up to 10 minutes to cook. Overcooking should be avoided to avoid lose of flavor. Different mushrooms have different Nutrition values but generally they are rich in protein, fibre, and vitamins and low in cholesterol and fats, and are therefore healthy to eat. They also have a high medicinal value and can lower blood pressure, controls cancers and slow ageing process. Research done by JKUAT shows there is a huge shortage of mushroom supply locally. The main reason for this is that there was no institution that was producing certified mushroom seeds (Spawn) before the University started production. At the same time, consumers were not aware of the health benefits derived from eating mushrooms. Mushrooms can substitute red meat because they have no cholesterol. Mushrooms are rich in Proteins, and Minerals. Button spawn, Agaricus bisphorus, agaricus bitorquise(Warm weather) @ Ksh. 600 liter. Ganoderma - @ Ksh. 1000 per liter, Or any other spawn on request. Button Substrate @ Ksh. 55 per kg for 10kg bag = Ksh. 550, inclusive of casing soil. 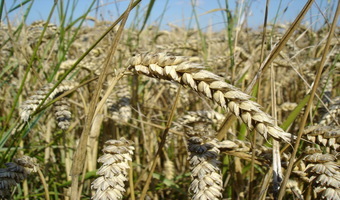 Wheat is a type of grass cultivated for its seed. It is a cereal grain which is a staple food in most African countries. The crop is the second most important cereal grain after maize in Kenya. Wheat Varieties Duma and Ngamia have been developed by the Kenya Agriculture and Livestock Research Organization (KALRO) for the dry areas of Kenya. The varieties can be grown in areas with low rainfall with short growing periods like lower Narok, Kajiado, Naivasha, Mogotio and Machakos. Duma and Ngamia mature early and can yield up to 9 bags per acre. They also have good resistance to rust diseases. For best yields prepare land early, as soon as there is no more straw to graze. Use good quality seed that is disease free, of high germination and free from weeds and dirt. Buy your seed from trusted seed shops and plant early at the onset of rains. Use a wheat planter or plant by broadcasting. If a planter is used, use l bag (50 kg) of seed per acre. If planting is by broadcasting, mix 1.5 bags of seed per acre with fertilizer and cover by giving a light harrowing. Use 1 bag (50 kg) of DAP fertilizer per acre if you are using a wheat planter and 1.5 bags if you are planting by broadcasting. Apply 12 wheelbarrows of farmyard manure per acre if it is available. When planting by broadcasting use 1.5 bags per acre of DAP & seed. Ensure your land is well prepared and use clean seed to reduce weed problems. If necessary, apply a recommended herbicide like Buctril MC at the rate of 4 knapsack sprayers per acre. To each knapsack filled with water add 150 ml of herbicide. Apply Buctril MC when the crop has 4 to 6 leaves. There is good disease resistance in these two varieties. Look out for attack by Russian wheat aphid. This is a small greenish insect whose damage includes purple or yellow lines on the leaves, curled leaves or bent heads.